MEMBERS MEETING: There will be a members meeting TODAY, March 24 at 4:00 pm in the sanctuary. 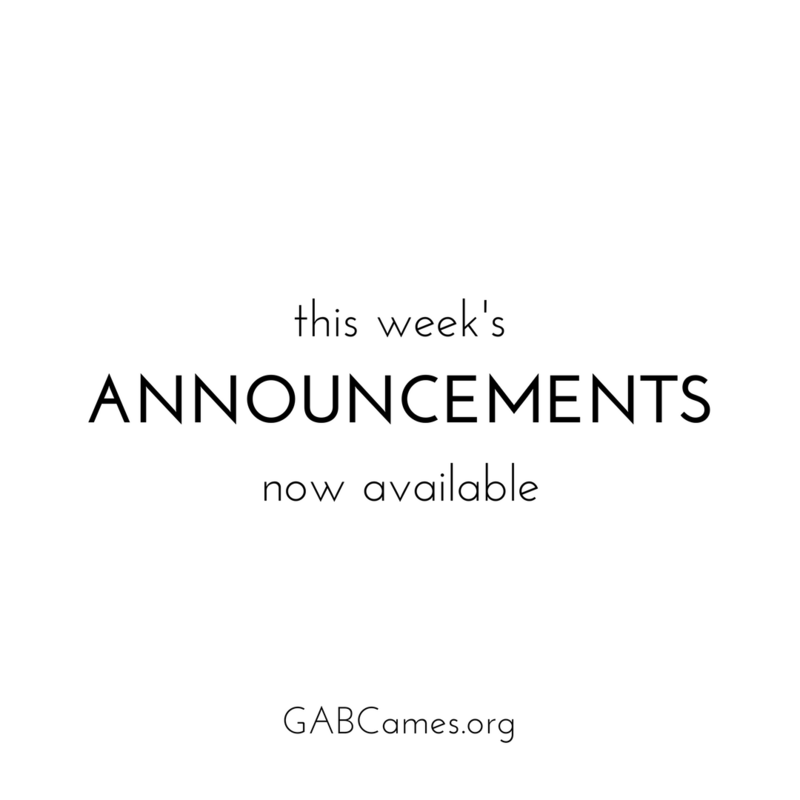 Meeting materials (agenda, minutes, covenant) are available online. HOSPITALITY EVENING: We are going to have an evening of hospitality on Sunday evening, March 31st. We will meet in the Sanctuary from 5:30pm-7:00pm. This is the second of our three-part hospitality evenings. NORTH AMERICAN MISSIONS: During the month of March we are praying for North American Missions (NAM) and the Annie Armstrong Easter Offering. Each week excerpts from the NAM Prayer Guide will be included in the service guide (see page 17). The prayer guide is available at the Welcome Center. The Annie Armstrong Easter Offering (AAEO) will be received through Easter, April 21. To give to the AAEO please make your check out to GABC and put AAEO on the memo line. Offering envelopes are also available at the Welcome Center. GABC’s goal for the offering this year is $1000.